Online Bookkeeping Vs Traditional Bookkeeping Services For Small Business: What are the costs? The majority of business owners take care of their bookkeeping needs independently and require accuracy in order to keep up with the ever-growing economy. To businesses that have never used outsourced online bookkeeping services previously it may feel like a strange and slightly frightening concept. However it may just serve all your needs without realising the benefits online bookkeeping has to offer. Advances in modern technology have made outsourcing a cost-effective option for many businesses that couldn’t afford full-time employees in the past but needed more than just part-time staff. BOSS has been in the outsourcing business now for over fourteen years. Outsourcing was considered something new about a decade ago and many people balked at the idea of taking up a service they knew little about and felt hadn’t been tested. Now that thousands of companies have incorporated outsourcing into their business in some form many businesses feel more comfortable in trialing this kind of service. 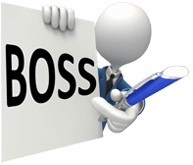 BOSS offers a bookkeeping service that ticks all the boxes and assists many businesses with their bookkeeping needs. Fixed fees are offered rather than hourly rate charge-outs which help companies to know how much their spending before the job begins. BOSS (Back Office Shared Services Pty Ltd) is Australia’s premium remote bookkeeping provider supplying well-trained high-quality accountants and bookkeepers. To discuss your needs and how we can help, Book a Consultation NOW!